Mark Hogencamp had a near-death experience in Kingston, New York (of all places). After revealing that he was a cross-dresser, a group of 5 men attacked him, leaving him with brain-damage, post-traumatic stress disorder, and a memory wiped completely clean. On April 7, 2003, Marks Hogencamp pronounced himself dead. He began relearning basic human faculties – how to walk, how to sip soup – and then he entered a world that he created with his own hands. Using his backyard as a World War II backdrop, figurines, toy cars, and miniature props tell the stories that Mark either lives or imagines. Soldiers on missions to rescue Mark; Mark proposing to his soon-to-be wife; and Mark’s grandparents in figurine form repairing an old jet; to name a few. He photographs these scenes. He colors stories that are part-personal, part-war, part-something-else-all-together. Most interesting is a hard title to earn here, but close to most interesting, is his ability to give characters – plastic figurines produced by the thousands – literal character. A mix of tailored scenery, clever camera angles, and the way in which he juxtaposes one figurine to setting or another character, are the pacemakers of his work. It makes me think, “He looks like he’s second-guessing that mission. Maybe he’s thinking of how he could be home eating an icecream sandwich or something.” But actually, he’s a plastic guy in a little jeep the size of my thumb. I think it’s fascinating. 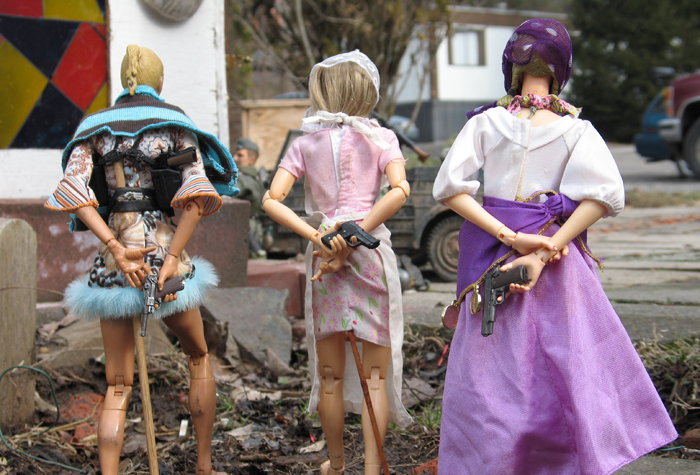 I see “Marwencol” as master story-telling, as the plot is your own. 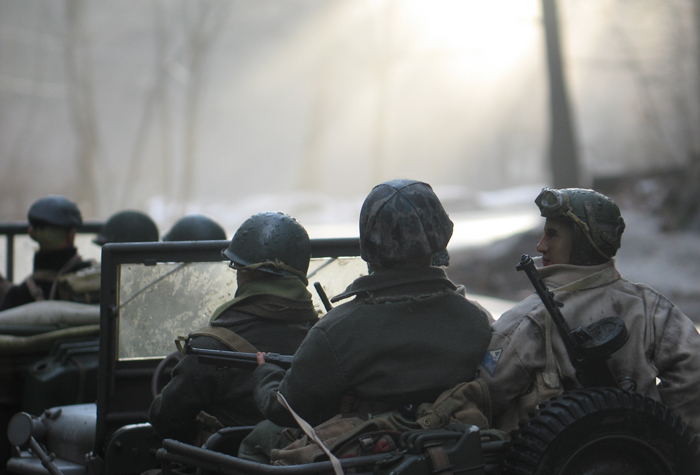 ‘Marwencol,’ has been featured in art shows and led to a documentary earning 25 awards. Artistic genius from misfortune.